Tomie Arai is a public artist who lives and works in NYC. 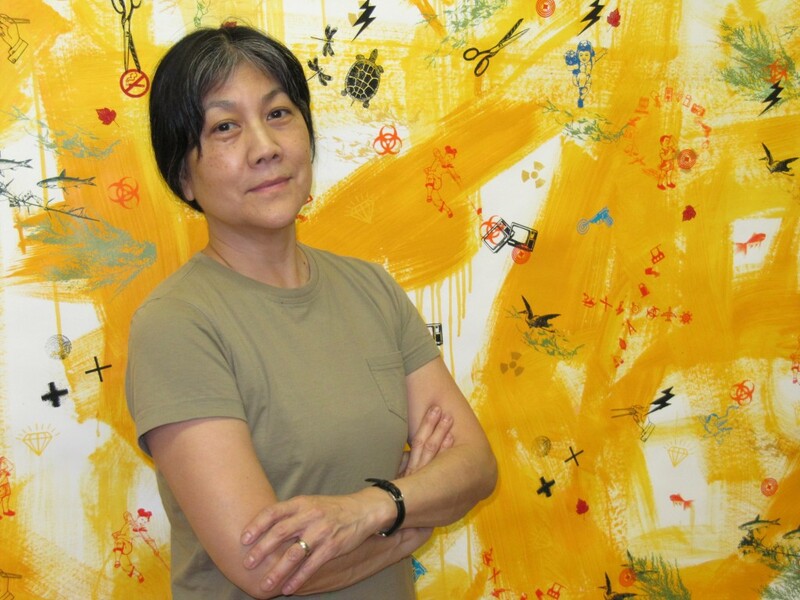 Tomie has painted murals with community groups on the Lower East Side and has designed permanent public works of art for the NYC Percent for Art Program, the Cambridge Arts Council, The San Francisco Arts Commission, the MTA Arts for Transit Program, the NYC Board of Education and the US General Services Administration Art in Architecture Program. Her recent projects include a public art commission for the elevated Pelham Parkway subway station in the Bronx and designs for architectural glass artwork for a new Metro station in San Francisco’s Chinatown.